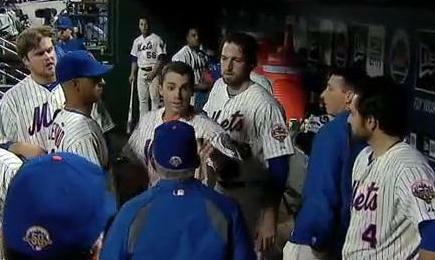 David Wright gets riled in the dugout. Because such thing exists as a pre-emptive strike, it goes to follow that its opposite must be pre-emptive strike avoidance. It’s a term not frequently utilized, especially in Major League Baseball, but it concisely sums up the strategy employed by Mets manager Terry Collins Tuesday at Citi Field. The first thing that crossed Collins’ mind appeared to be disbelief that Carrasco, the guy he was probably counting on to eat the game’s final three innings, was gone after only three batters. Shortly thereafter, the ramifications became clear: Braun was Milwaukee’s No. 3 hitter, and his counterpart on the Mets, David Wright, was due to lead off the bottom of the inning. Factor in that Brewers starter Zach Greinke had to that point given up only four hits over six shutout innings; that the Mets would be lucky to avoid being shut out, let alone win the game; that Brewers manager Ron Roenicke has a bit of history when it comes to Code enforcement; that Wright has his own history when it comes to being hit by pitches; that there’s no player less dispensable to New York’s lineup than the .408-hitting Wright; and that if anybody was going to wear one for the sins of his team, it would clearly be the Mets’ third baseman. Taking all that into consideration, Collins did what he felt prudent: He removed Wright. 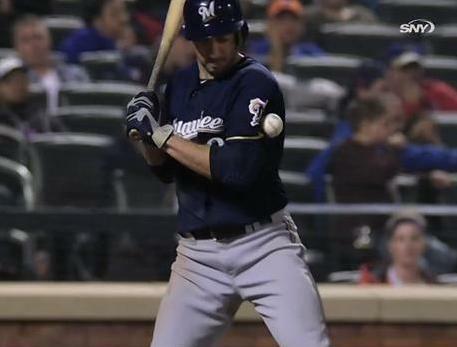 Ryan Braun, and the pitch that started it all. Wright, however, was clearly agitated, shouting at Collins in the dugout before turning on his heel and stalking away from the manager. (Watch it here.) Two batters later, Collins removed David Murphy for precisely the same reason. Carrasco issued a standard denial, and Braun claimed to have no feelings one way or the other about his opponent’s intent. “My thinking at the time was, Ryan gets hit and then I go up there and get hit and then everything is settled,” Wright said in a MLB.com report. In that, he was exactly correct. If it wasn’t the series’ final game, or if the teams’ next scheduled meeting wasn’t four months away, or if Wright was anything but a target of circumstance—were he drilled, it would have been because of where he hit in the lineup, not anything he did on the field—he would have had an air-tight case. Waiting a day to respond to an incident like this is hardly rogue strategy, but Roenicke and his team would have to be harboring a pretty serious grudge to put a target on Wright when they next see him in September. It will all probably pass without incident, but that may have happened anyway. 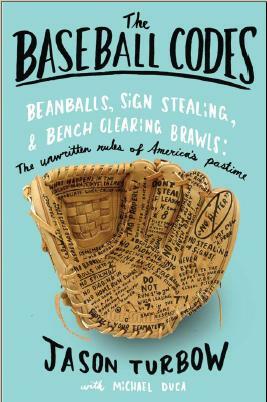 One thing Collins has assured, however, is that the Mets now have 16 weeks to consider the possibilities before actually seeing the results of this particular experiment.